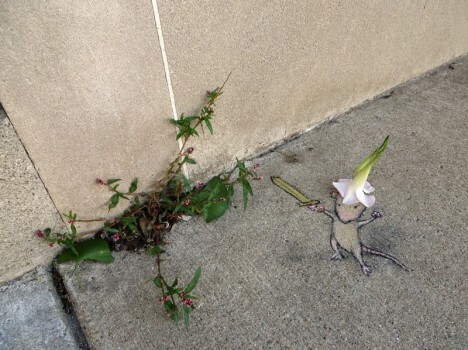 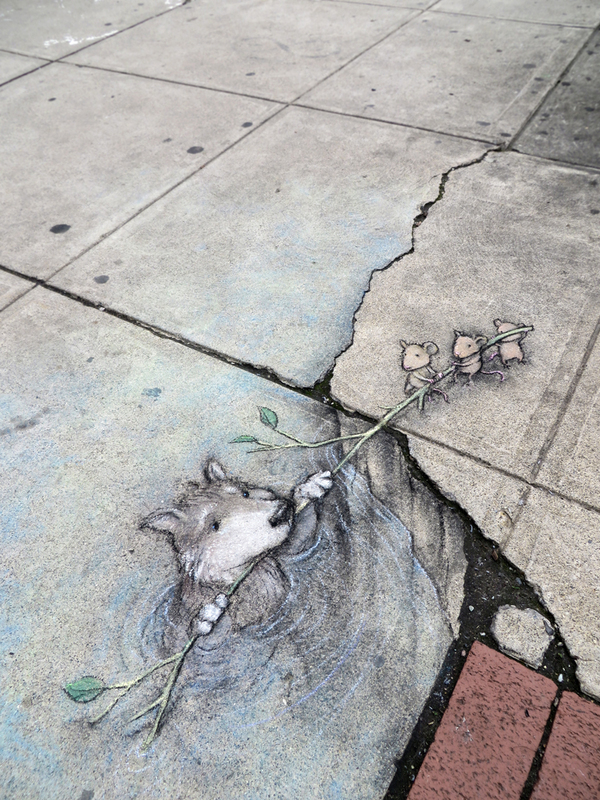 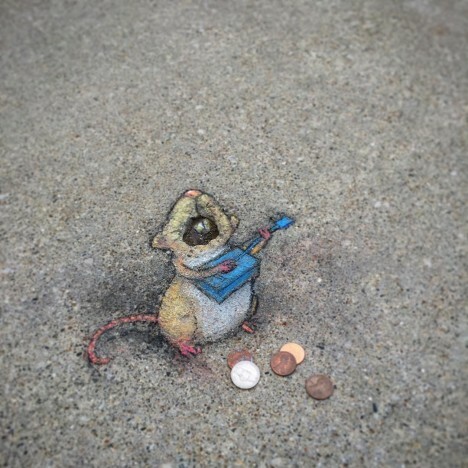 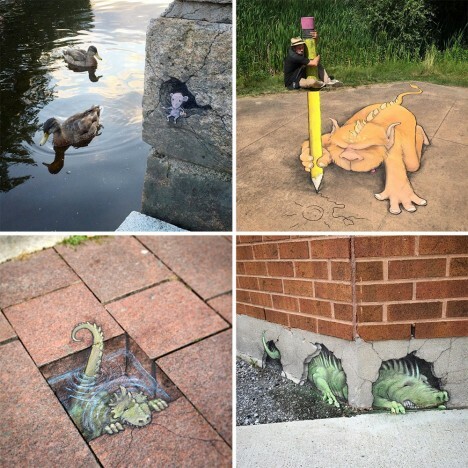 Bringing a certain subtly and sense of humor back to three-dimensional chalk art, David Zenn creates highly-contextual scenes using an array of animal characters, all interacting with urban environments. 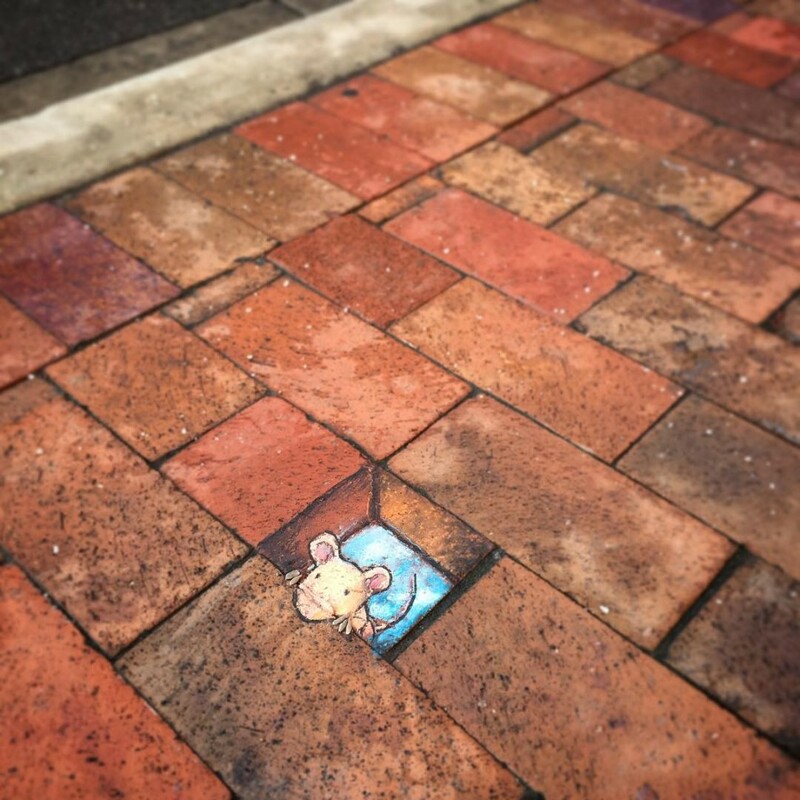 For decades, he has used chalk and charcoal to feature pieces that tie into their surroundings, relating to anything from fallen flowers to cracks in the sidewalk. 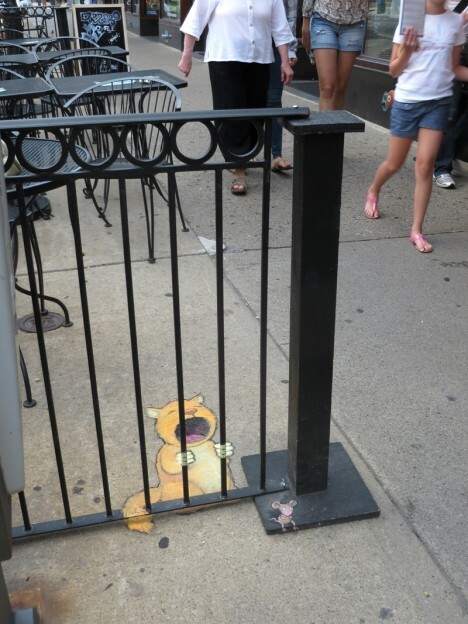 Rats, bears, lizards, dogs and other less-identifiable animalian hybrids can be found lounging around, floating balloons or hiding in imagined holes, like refugees from a wild children’s book. 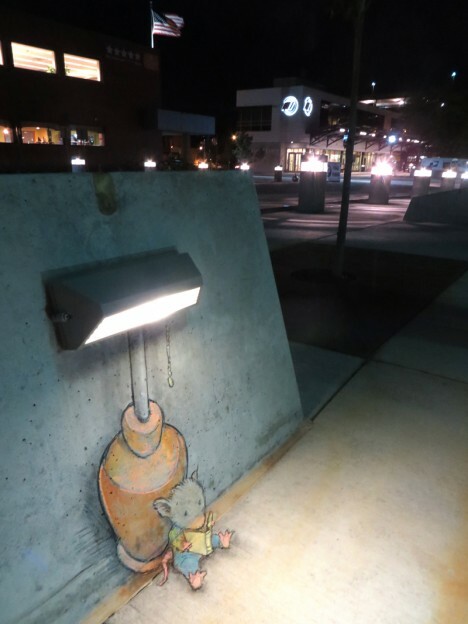 Over time, a cast of regular characters has evolved, appearing in different places, telling a story through each sequential work of art. 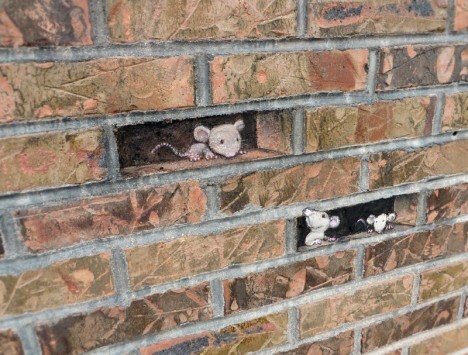 Some of his archival prints are for sale, as well as his book Temporary Preserves (via Colossal).